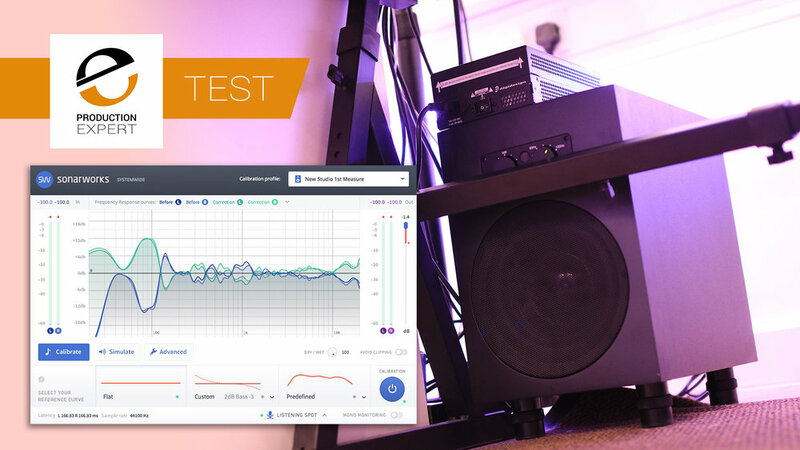 In the article, Dan Cooper explains how he recognised a problem within his monitoring setup, how he tweaked the placement of his monitors to improve the frequency response and how he fixed an artificial sound caused by the Sonarworks Reference correction process by way of a new studio subwoofer. We have finally completed our home recording studio build. The studio gear has been moved in and we have settled in nicely. Rather than post an article talking about how we designed and built the studio we decided to share some before and after pictures. In the coming weeks, we will post an in-depth video showing the full studio build timeline. In this article, I explain how we constructed the studio floor system. We decided early on not to go the "floating floor" route as we would have had to tear up the existing floor structure and replace it with a completely new decoupled (isolated) frame from scratch. Dan Cooper explains how to install studio lights without compromising the integrity of a soundproof studio construction. One of the big studio design decisions I had to make was whether or not to install a trunking system for electrics and sockets. In my previous studios, electrics were buried behind stud walls and sockets cut into plasterboard. For this build, I chose to go with a trunking system. In this article, I share what I believe to be the benefits of electrical trunking systems in recording studio designs. In this video for Pro Tools Expert, Technical Editor James Ivey gets a guided tour of the new Gatehouse Studio at the world-famous Abbey Road Studios. his guide for the day is Abbey Road Senior Recordist John Barrett. GenieClips are a component that simply screw into internal timber or metal stud frames. When installed these provide a platform for furring channel to clip to. The clip itself decouples furring channels from stud frames and ceilings. Plasterboards screw into these furring channels. GeniClips feature rubber on both sides that reduce airborne and impact noise. In the pursuit of creating my dream creative space, I ended up putting my heart on my sleeve. This made me susceptible to all manner of emotions. I didn't prepare myself for the emotional rollercoaster as I didn't expect my emotions to yo-yo so easily. Before reading this article I want to make one very important point that needs to be understood if you are considering building a soundproof recording studio - Building a purpose built or retro fit soundproofed studio is not for the faint hearted. Renovating typical rooms are much easier to plan and build when conventional building methods and materials are used, budgets are also more predictable and easier to plan. As soon as the term "soundproof" is thrown into a build specification the costs suddenly get scary, fast. Studio Build - Was A Timber Garden Cabin A Good Starting Point For A Soundproofed Studio? One option that I didn't initially consider before planning the studio build was to demolish the garden cabin and build something new completely from the ground up. It took a few YouTube comments questioning my decision to build my studio inside the garden cabin that made me realise that I needed to consider every option. That way, I would know in my heart of hearts that I was about to embark on the right choice. I had to research alternatives to garden cabin studio idea before I did anything else. The log cabin in our garden was constructed with timber 40mm thick so we needed soundproofing materials and a plan to get the soundproof system right. If you don't plan a soundproof system properly you run the real risk of spending a whole bunch of money on a room that will not work as a soundproof recording studio. A while back we asked you to submit your studio design and build stories. Well, community member Artur Rakhmatulin has submitted his story, it took a lot longer than expected. In part 1 of a 3 part series, Artur walked us through the options, his study, and the theory behind his chosen design. In part 2, we look at the structure, the detail design and implementation of the floor, ceiling, interior walls, and the layered back wall. A while back we asked you to submit your studio design and build stories. Well, community member Artur Rakhmatulin emailed recently apologising for the delay in submitting his studio design and build story. He explained that it had taken much longer to accomplish it than expected, but during this process, he shifted his paradigm several times and so came out differently from what he first intended. This is Artur's story and experiences spread over 3 parts, the theory, structure and additional treatment. Opinion - Patchbays And How I Use Them - What Do You Do? There a very few hard and fast rules in the audio world, besides maybe "More CowBell" and never use channel one of the mixer in a rehearsal studio. Everyone has their go-to pieces of gear for a particular instrument and tricks for getting greatest snare drum sound you have ever heard, but as far as I can tell there are no rules what so ever for how to arrange and wire-up a patchbay. In this video, Pro Tools Expert Deputy Editor Dan Cooper asks a question to the Pro Tools Expert Community - What are you current or past recording studio acoustics & soundproofing nightmare stories? and then shows what he is doing with his new temporary studio. In this video, Pro Tools Expert Deputy Editor Dan Cooper gives you a guided tour of his garden cabin that he plans to convert into a new home recording studio. This video is the first in a series of videos where Dan walks you through the entire process of his garden cabin recording studio conversion. In this video shot from the show floor at BVE 2017, Pro Tools Expert Technical Editor, James Ivey and Pro Tools Expert Editor Mike Thornton, talk you through their highlights of the last day of the show.